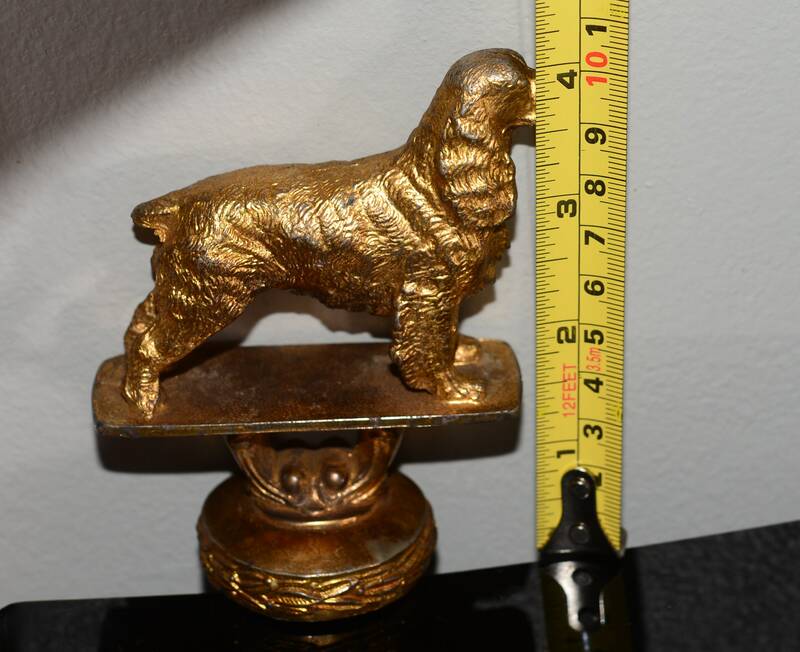 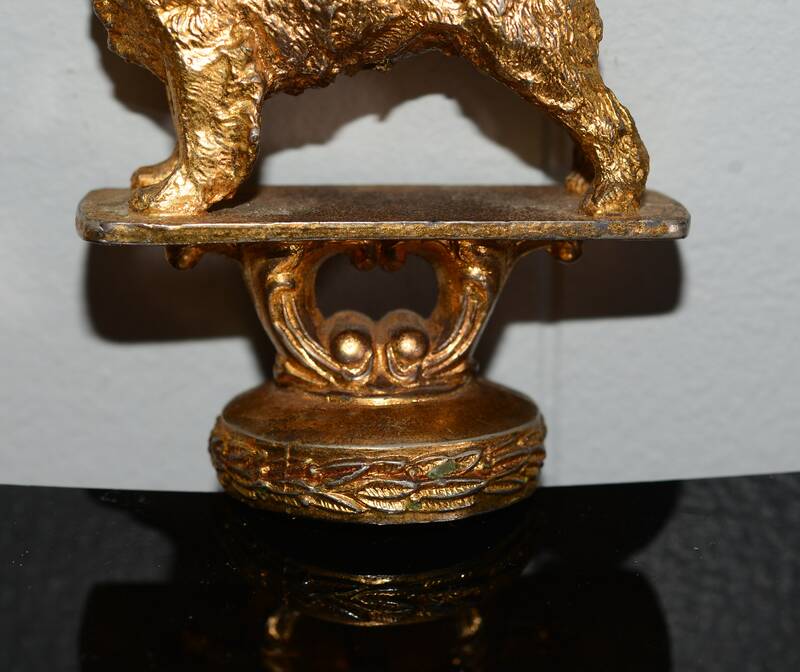 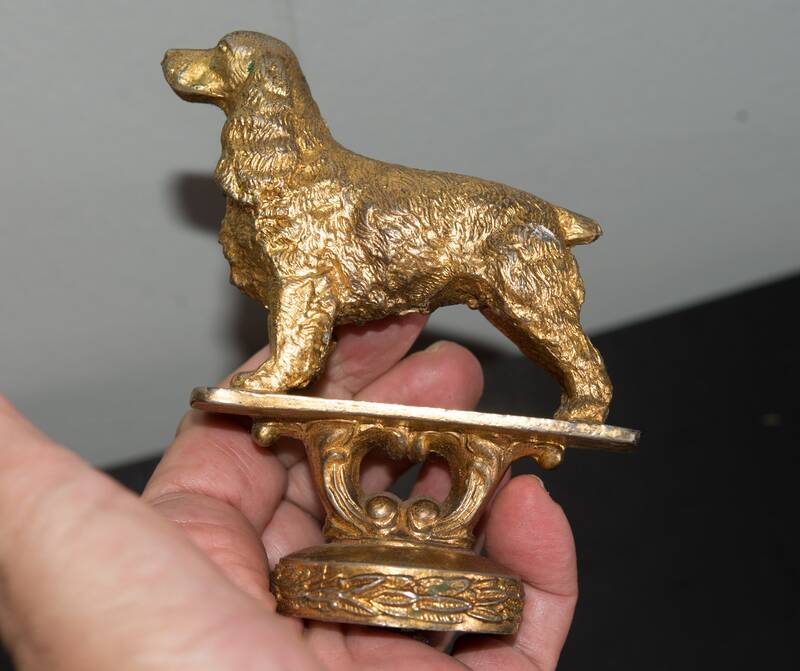 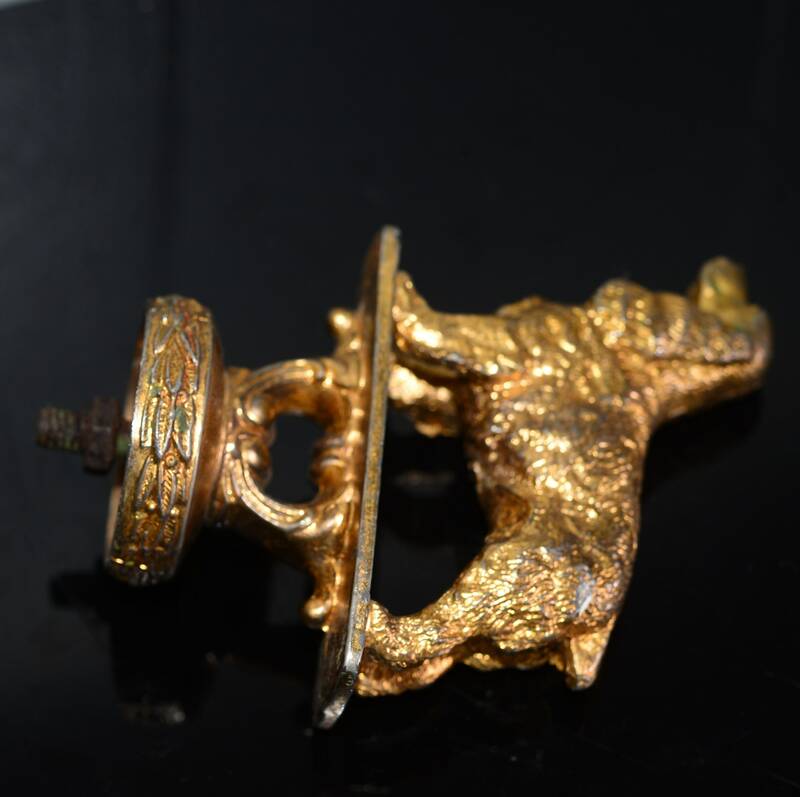 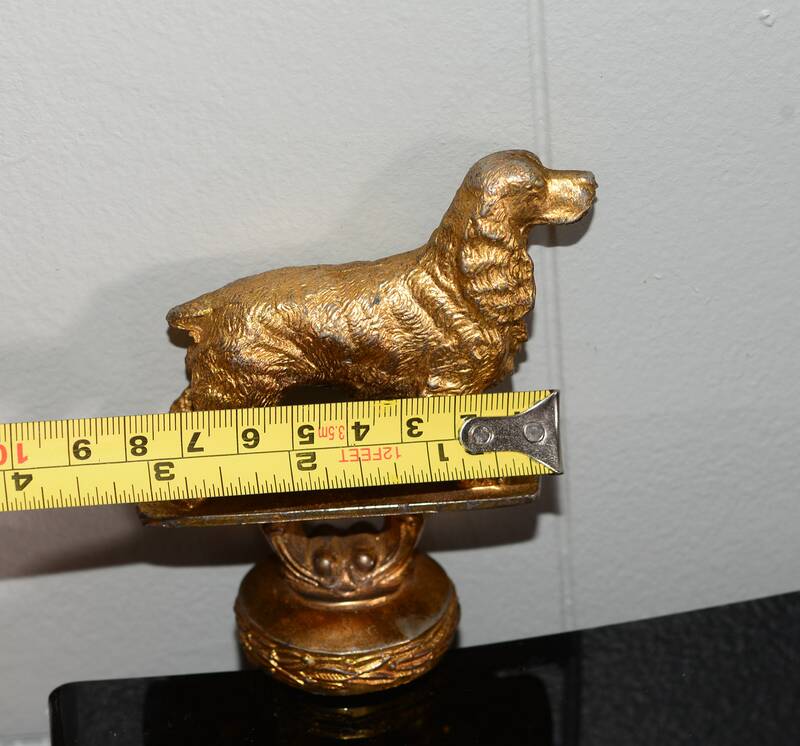 This is a vintage Trophy Finial or Topper I believe, 4 inches tall and wide, gold wash on spelter or other cast metal. 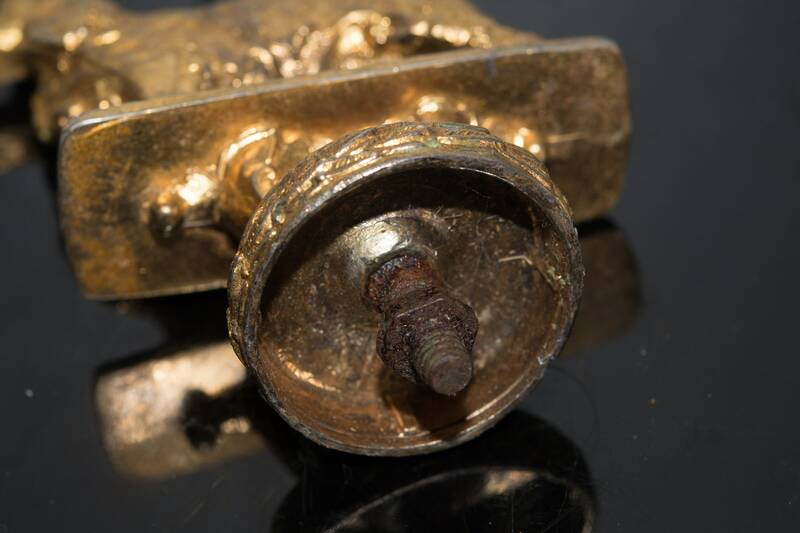 It has lost some of it's gold, has a threaded post for mount. 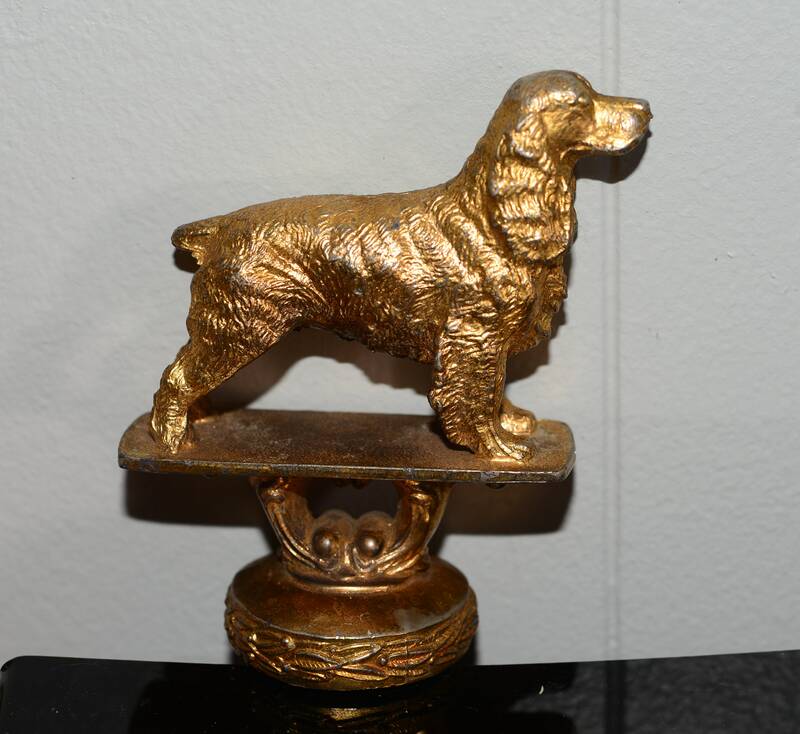 Likely awarded for smoe kind of dog show. 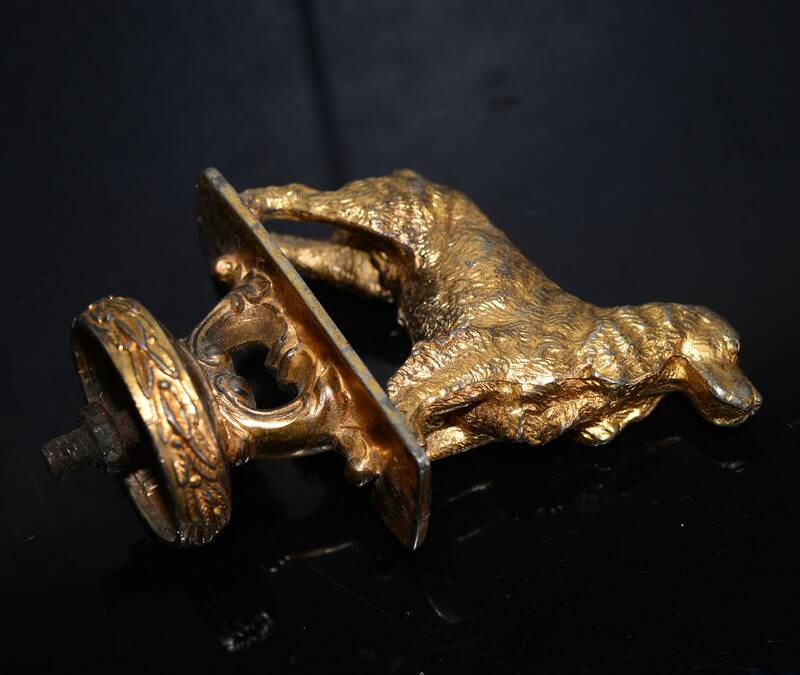 Heavy piece could be repurposed.